Etude House just recently launched the New Dear Darling Water Gel Tint with more shades and varieties so each of you can find your own perfect shade that matches your own skintone. They used to only have 4 shades, if I'm not mistaken, but now there are tons of them! PACKAGING // The bottle is pretty much the same with the previous version, just a little shorter and less curvy. I find that they actually change the shape of the bottle a little so you can reach the bottom on the tube better because it was actually one of the problem with the previous version. I'm not sure if it's better now as I haven't used much, but good job Etude in actually listening to people's complaints. TEXTURE & CONSISTENCY // Pretty similar too, just that I feel they're now a little watery compared to before. Not that different though. Etude claims the new version to have more pigments so they should last longer, I don't see much difference though. 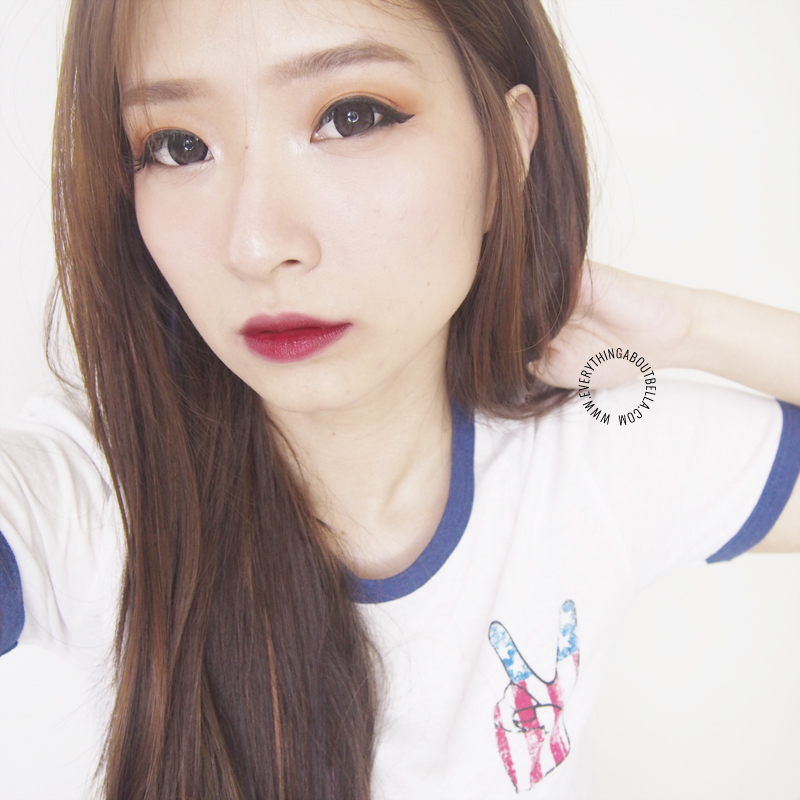 They are still just an okay lip tint, not the best in term of longevity and I still feel touch ups is needed constantly with this lip tint. But with its super affordable price, I can't complain much. They are also pretty drying in my opinion. 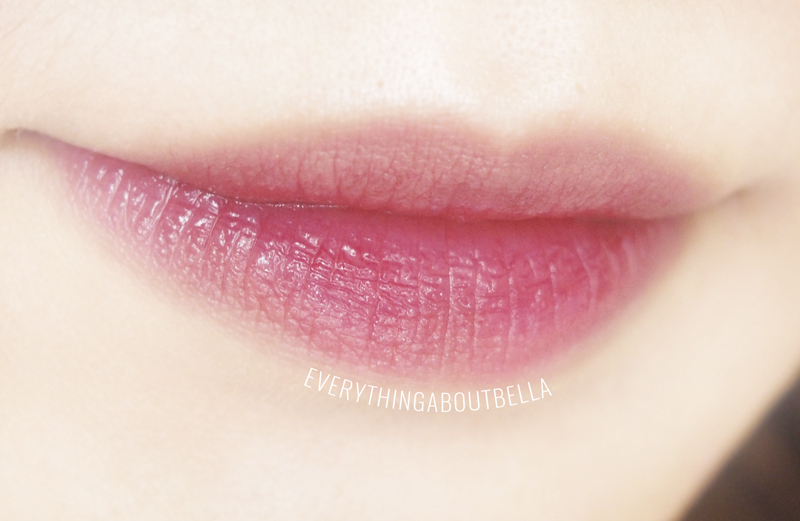 Without lip balms, you lips would look crappy with flaky skin everywhere after just 1-2 hours. Maybe it's just my overly dry lips, but for me lip balm before/after, or basically anything moisturizing is a must to be paired with these tints. 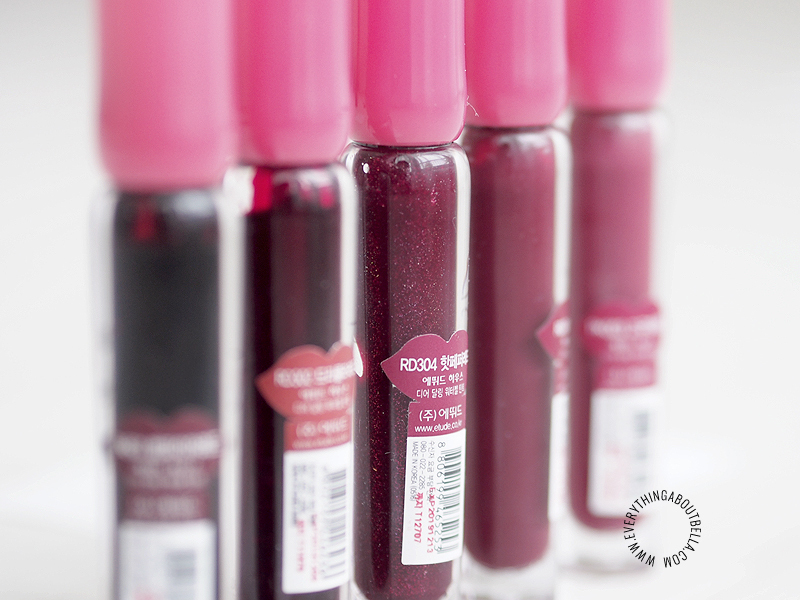 Like I said, not the best lip tints, but seeing how affordable it is, I say everyone should still give these a try! Out of the 5 shades I got, well out of all the available shades, RD304 is the only one with glitters in it. AND I AM VERY MUCH EXCITED. I love glitters in makeup and this is not an exception, it's so pretty! Okay, as you can see from the swatches above. 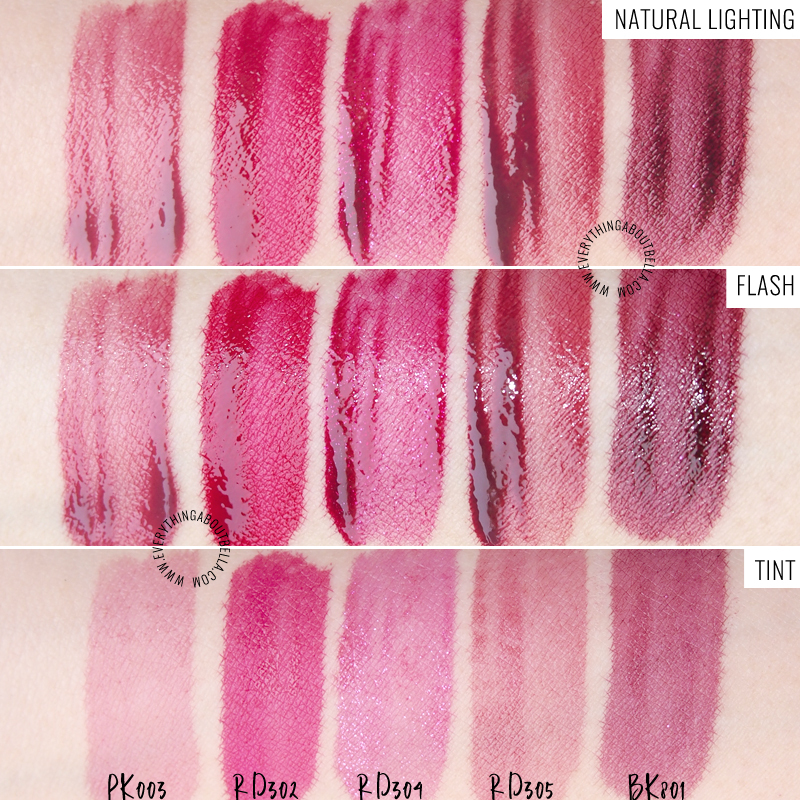 All the MLBB Winter Collection shades - PK003, RD304, RD305, BK801 - are kinda muted, the tint they leaves behind is way less pigmented than the regular RD302. 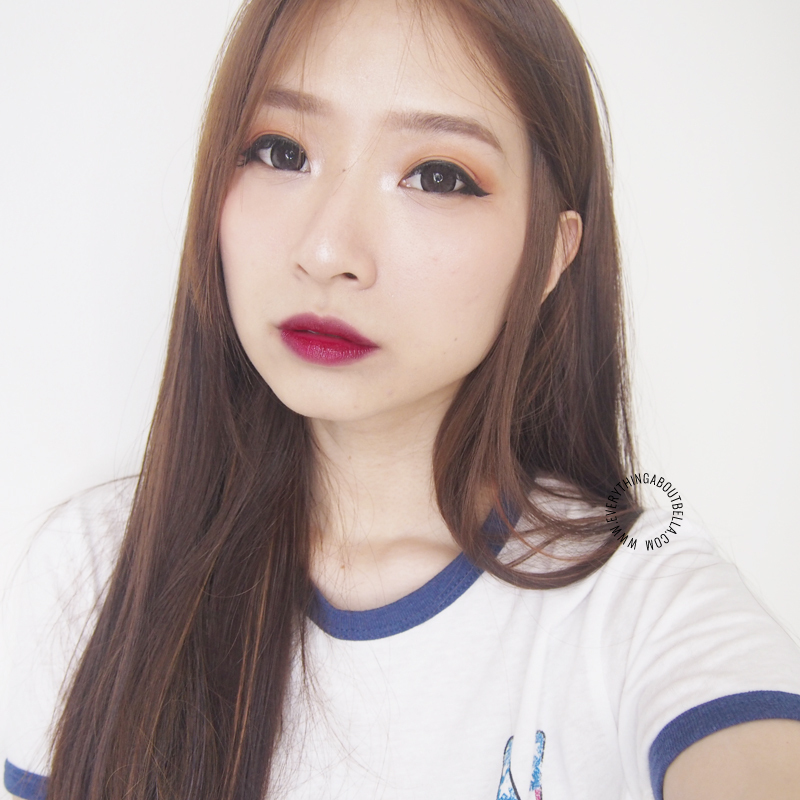 Initial application might make them look super vibrant and all, but after a while, the 4 MLBB shades would be pretty natural on the lips. It's so hard to pick a favorite but mine is RD305. They are all super pretty and I've been using them nonstop these days but if you really just want to try one shade and love MLBB lip product, I highly suggest to get RD305. Oh well, I think I've been writing too much, let's just get to each shade now. PK003 // Is a very muted rose shade. It barely shows on the lips and it gives only a slightest hint of color. Just enough so you look healthy and not pale. 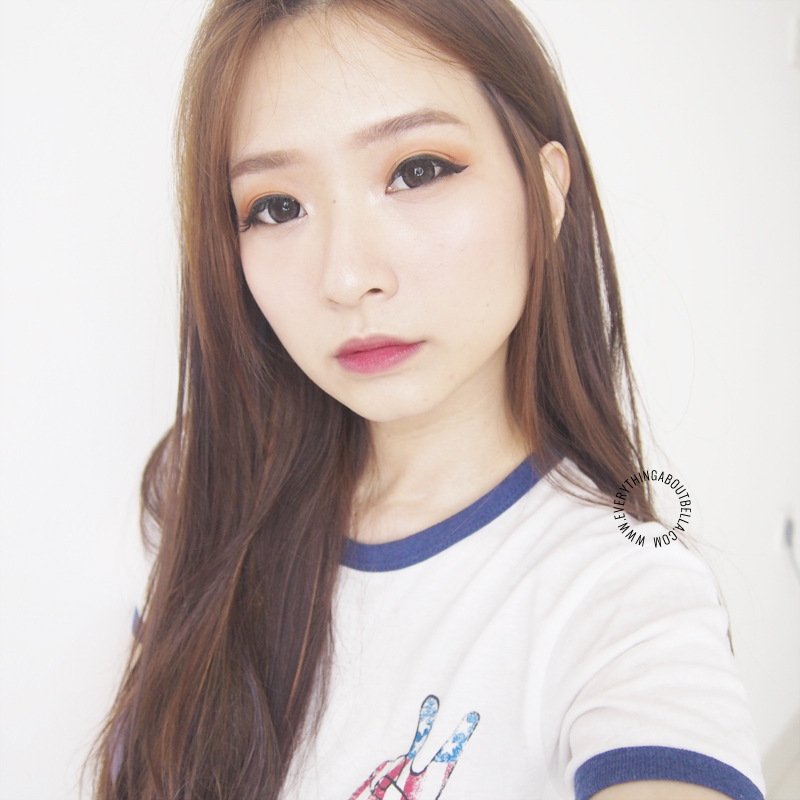 Perfect for everyday no makeup face. 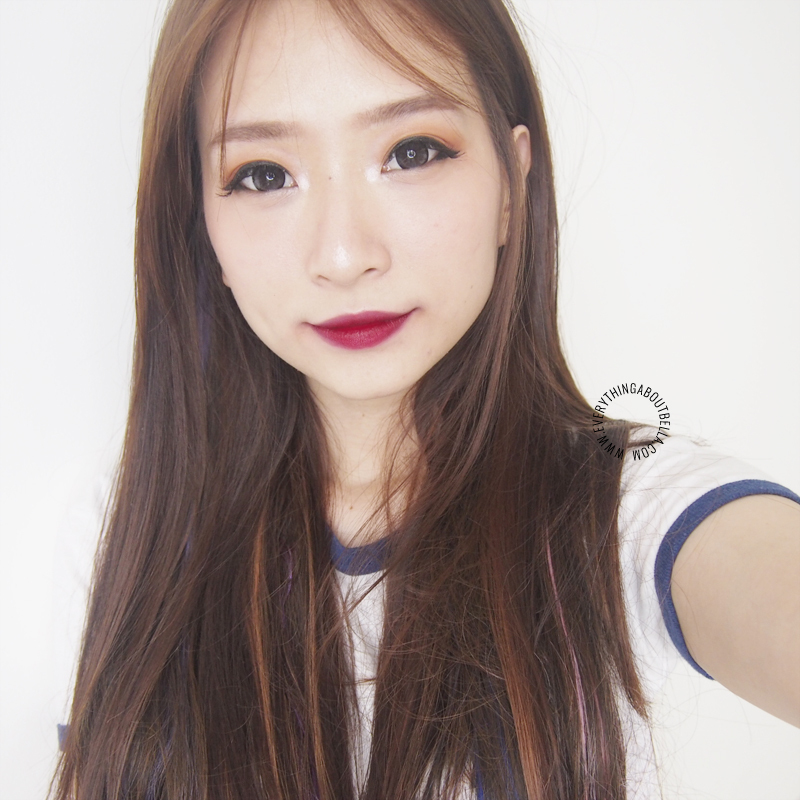 RD302 // Is a bright dark red with slight pink undertone. 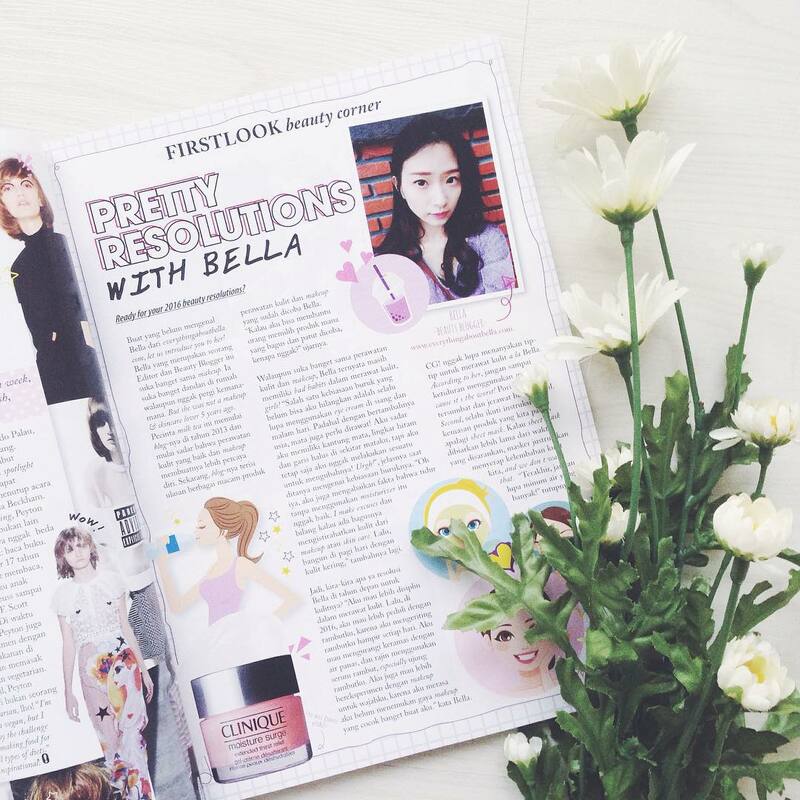 A shade that will brighten your skin. It's a vibrant shade but if you use only a tiny bit on the inner part of your lips, you can create a very pretty gradient lips. RD304 // Is a dark pink with pink glitter specks. Ugh. Very pretty. The glitter gives a very interesting effect on the lips. RD305 // The prettiest of them all, in my opinion. 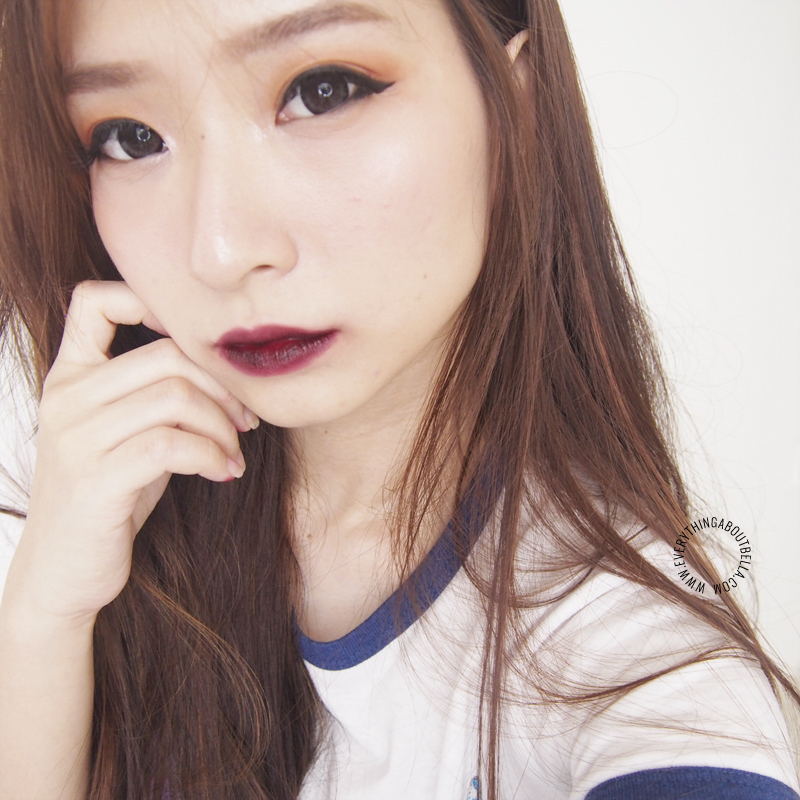 It's a muted dark red shade that reminds me of a blood color. 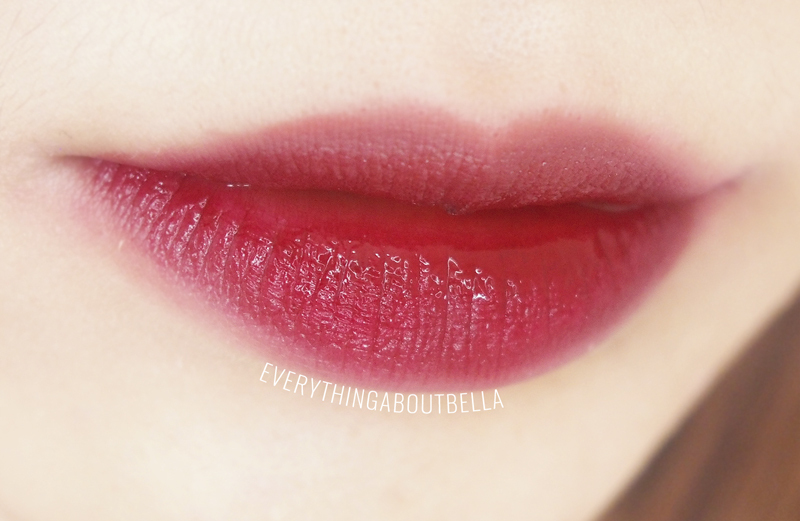 Very unique and rare shade, especially in lip tints. Just, pretty! 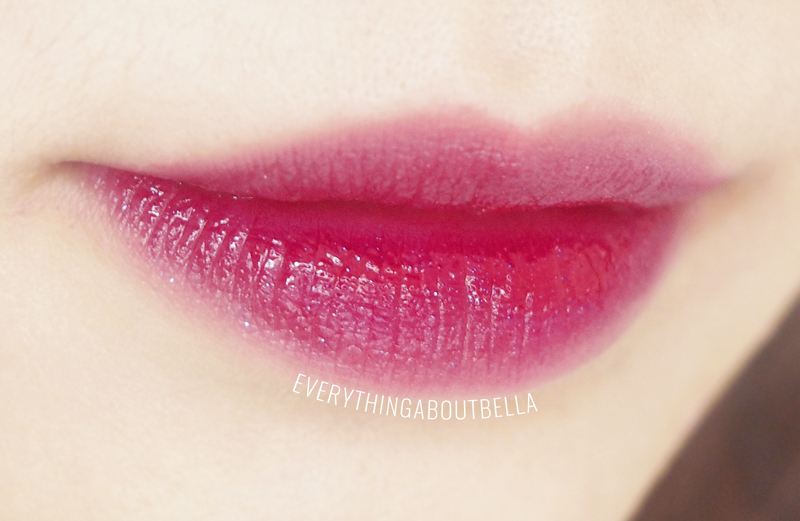 Put a little, it will add color to your lips very naturally. 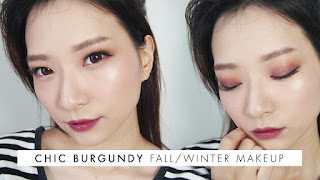 Put in several layers, and you get that pretty red shade that goes well with every look. 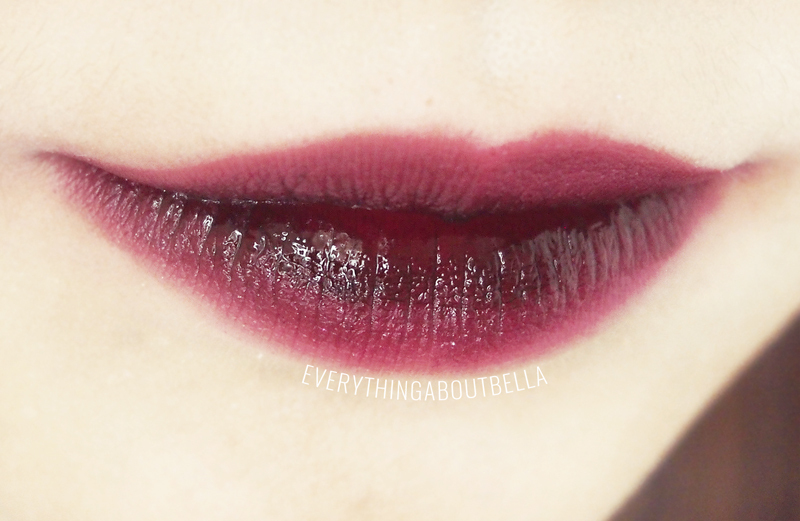 BK801 // A dark plum shade. Gives a very mysterious feeling. The hardest to work with as it can look blotchy but still a very pretty shade. Aren't they all pretty? Gosh. Etude House is doing an amazing job by making these tints. 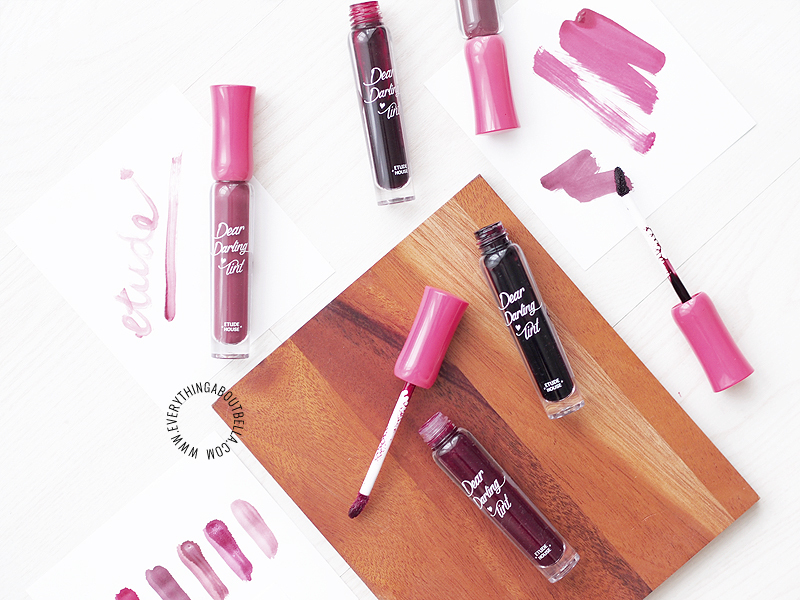 I am a huge fan of lip tints, and I prefer lip tints over anything but most of the time, brands don't make many varieties of color, probably because they assume people use tints to look natural. 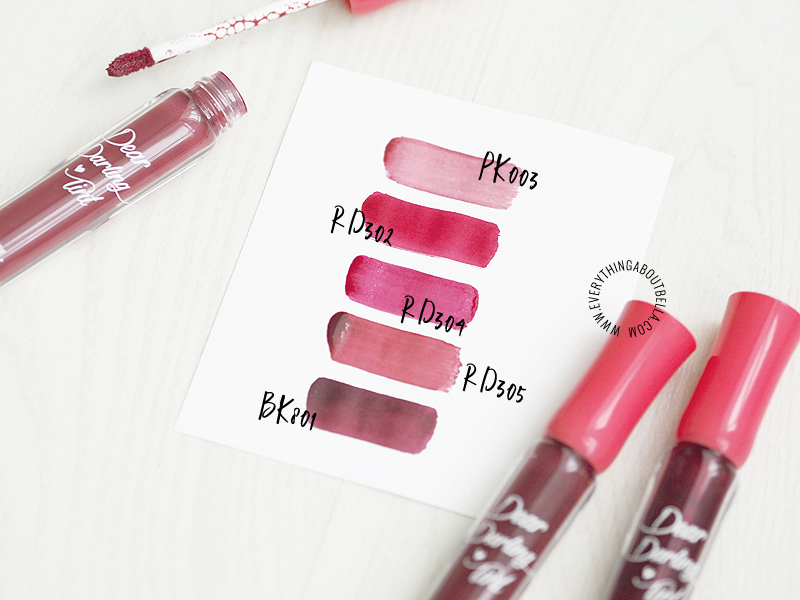 But these new Dear Darling Tints are definitely amazing with all the variety of colors! I got these tints from QueenEtude on Instagram. They sell ready stock korean products. Yay to that! I usually hate doing pre-orders on Korean cosmetics, so I try to find shops that sells ready stock products whenever possible. How about you? 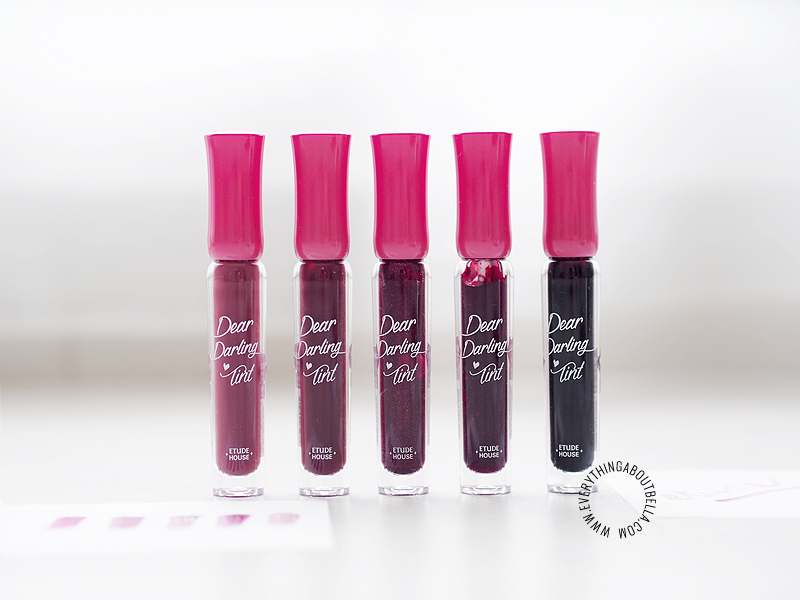 I am officially curious about the other shades of the New Dear Darling Water Gel Tint. RD303 and RD401 is on my list to get next! 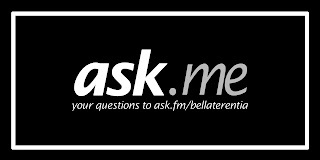 Have you tried it? Which shade do you think look best on me?